The school was hosted by the Fiesta Casino and Hotel, just 15 minutes from the strip, entertainment capitol of the world. It was indeed entertaining but learning the art of judging it was no gamble! 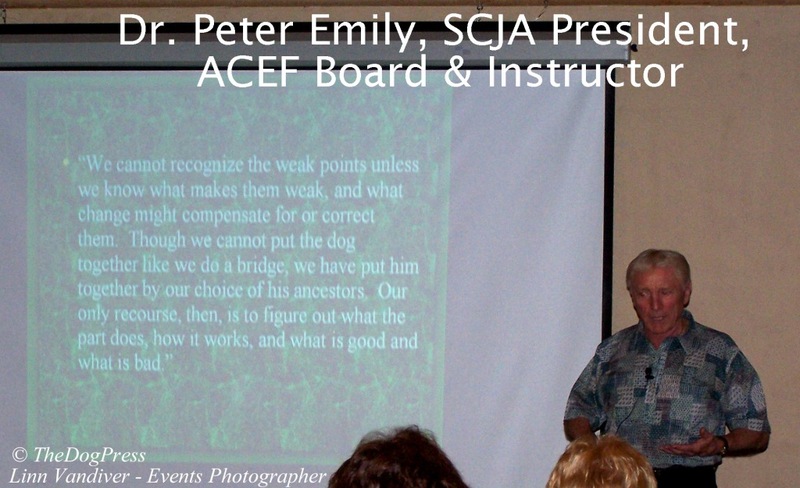 The depth and scope of the ACEF Judges’ Institute and the instructors themselves is what makes the SCJA-ACEF school the "granddaddy" of them all! Students were met at the entrance to the well appointed l ecture room by none other than the Colonel himself. The Fiesta Casino and Hotel furnished a meeting room and daily luncheon buffet second to none with everything from seafood to Italian (Wally liked that) to Mexican and Asian cuisine. 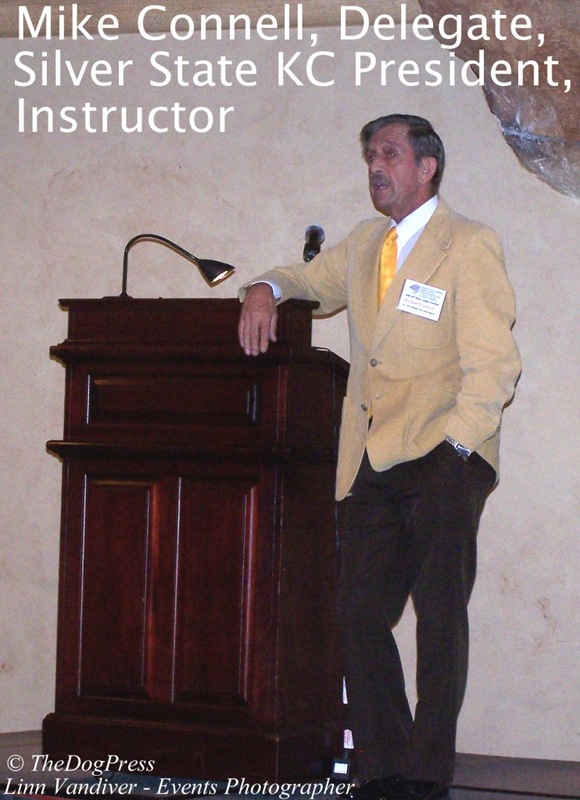 Instructors were the Who’s Who in dogs; James Crowley (AKC Executive Secretary, Wayne Cavanaugh (TV Celebrity, UKC President and former AKC Vice President), Mark Threlfall (Exec. VP of UKC and former PHA President), Dr. Peter Emily (internationally recognized judge and veterinary scholar), plus many other top AKC Judges and Delegates rounded out the list. 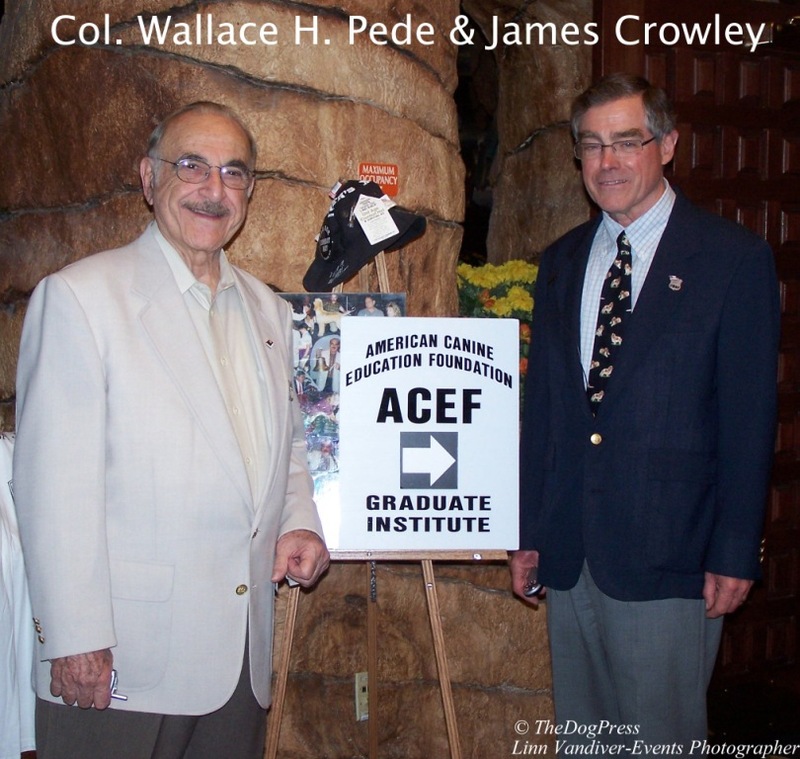 An outgrowth of the Senior Conformation Judges Association, the oldest and most prestigious group of judges in America, first to hold judges’ training matches and “hands on” seminars, the ACEF is guided by CEO Colonel Wallace H. Pede, whose dedication and organizational skills are second to none. 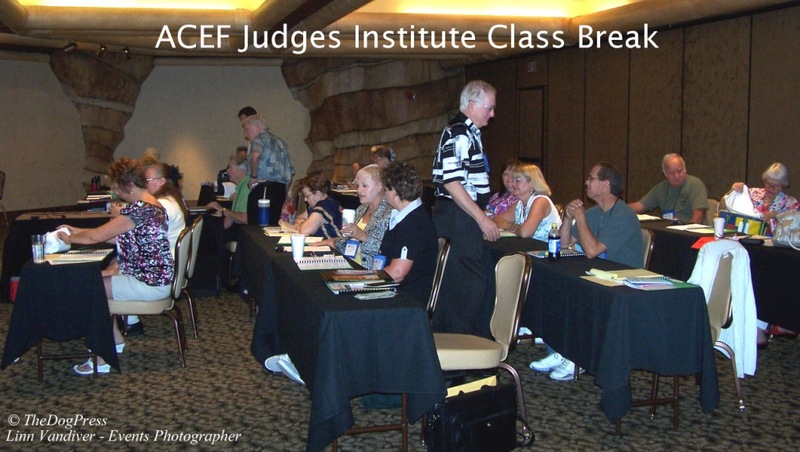 Founded in 1984, the ACEF is the grandfather of judges’ education, presenting the first weeklong Judges’ Institute; it draws the best of the best in both instructors and students. It’s the “go to” place to learn both the basics and the finer points of judging. Six days in Vegas, complete with sumptuous daily buffets, an elegant banquet, and the best camaraderie, materials, and learning experience for under $400? 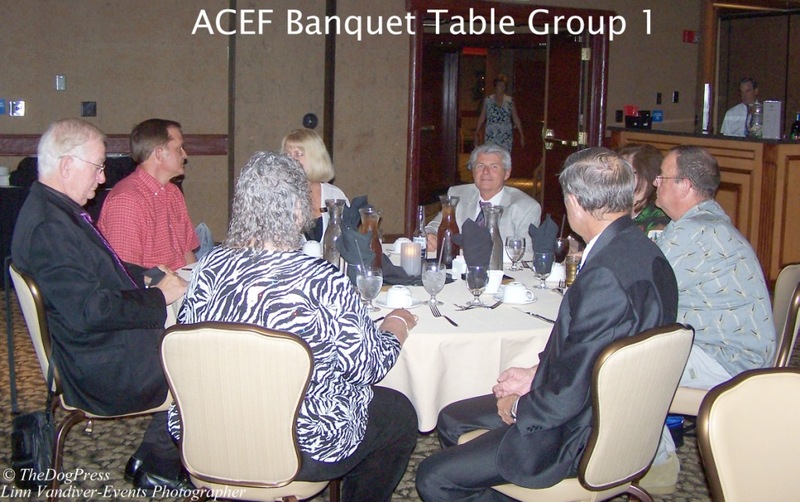 Hats off to the ACEF! Covered are the seldom discussed intricacies of fees and contract negotiation, calendar and assignment management, conflict of interest, and above all, ethics. Then there are the details of procedure, from how and when to wicket, to details of the judges’ book, managing the ring (and stewards) to delineation of authority. The detailed study book, complete with diagrams, photos, attendee and presenter listings, is in itself, an invaluable reference keeper! 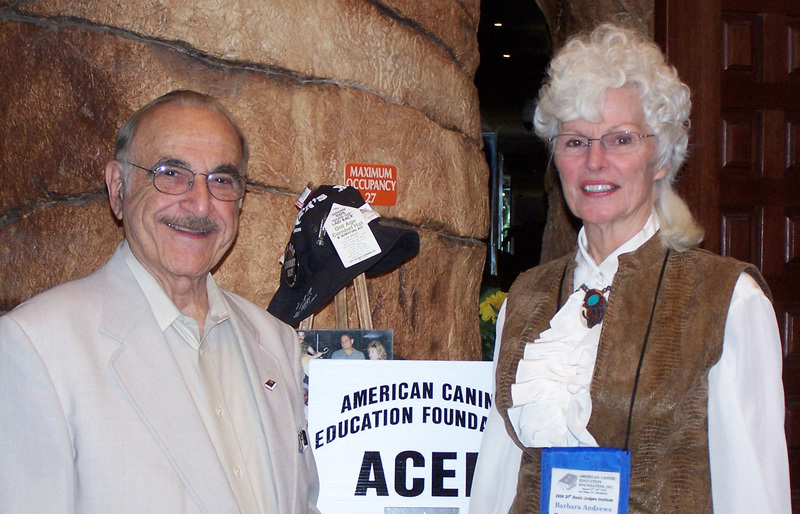 Dr. Emily, SCJA President and ACEF Board Member, did not dumb-down his world-renowned veterinary lecture on canine and dental anatomy. The variety of working model skulls, detailed drawings, and Pete’s ability to make it all fit together in practical terms of anatomy and movement were amazing and revealing even to those of us who thought we “knew all that.” The test that followed was tough but passable. 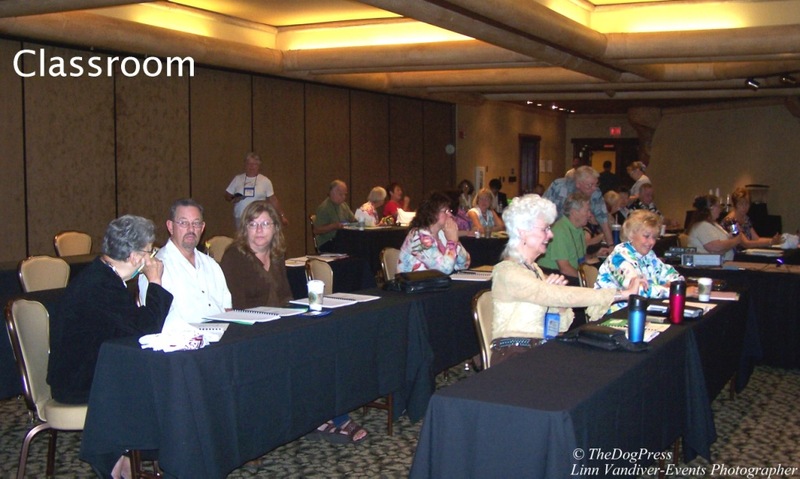 Mark Threlfall and Wayne Cavanaugh not only explained what the United Kennel Club (UKC) is all about but gave judges a new perspective on the power of positive judging and critiques, whether verbal or mental. Having attended a UKC judging seminar, I was aware of the impact UKC’s unique seminars have on judges and this was no exception. Mike Connell, Delegate and President of Silver State KC gave an excellent talk on the judge’s relationship with the Show Chair. On Wednesday, Mike also brought a lovely (and very patient) Shiba for the judges to practice measuring technique. Mrs. Judy Doniere, wife of Patrick, deceased former President of SCJA, was unable to attend as one of the panel discussion moderators. 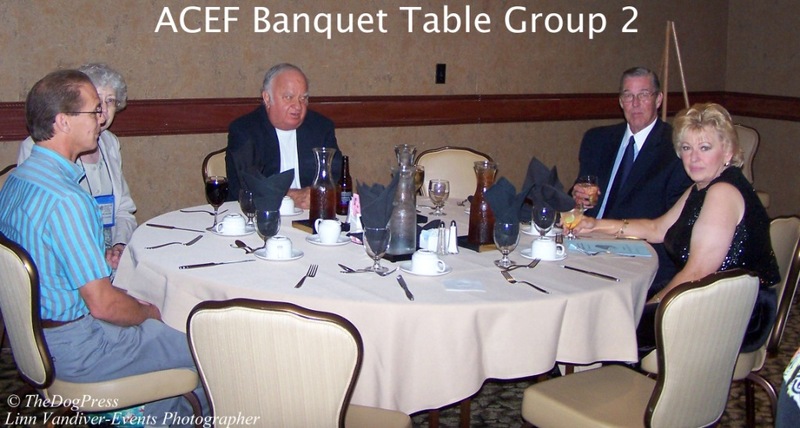 Judy has been actively judging while battling cancer so her last-minute cancellation cast a worrisome shadow on the proceedings but ACEF Administrator Chuck Cuthbert adeptly filled in for her. The Discussion Groups were one of the highlights of the Institute and a tremendous study benefit to all. 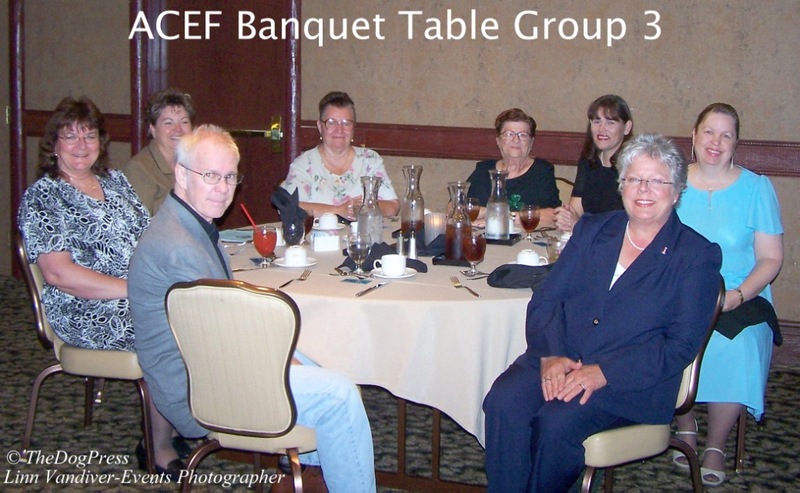 Chuck, along with multi-Group judge Sandy Wheat and Vickie Jordan Leichner (ACEF Board Member, Working Group judge) guided the lively study discussions. 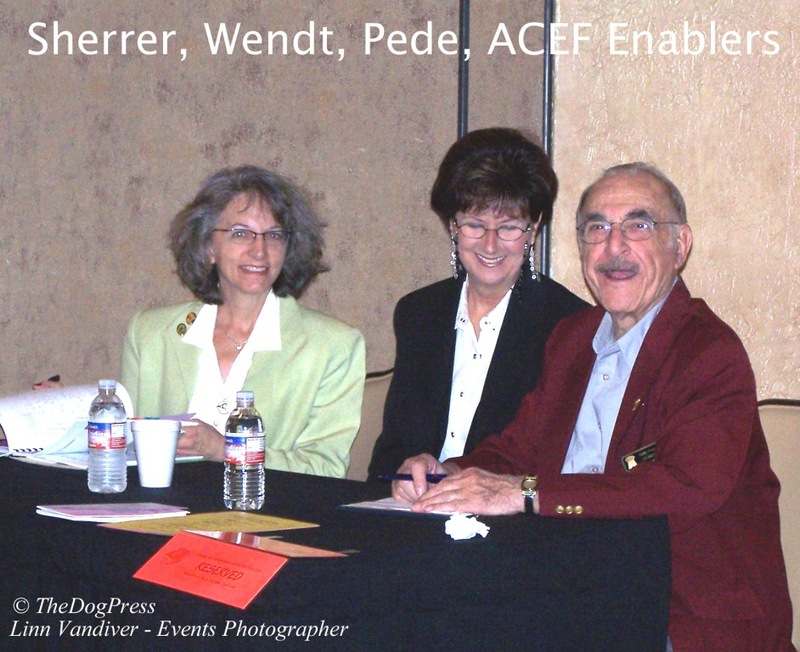 Equally effective in turning abstract concepts into unforgettable knowledge was the whole-class question session led by Nina Sherrer (ACEF Director Of Education and Judge), Lynn Wendt (SCJA Administration) and the Wally Pede, popular multi-Group judge. The lively discussion brought forth procedural questions which under other circumstances, both aspiring and approved judges may be hesitant to explore. which includes AKC's James Crowley on Rules & Regs, Banquet Photos, Graduation, etc.